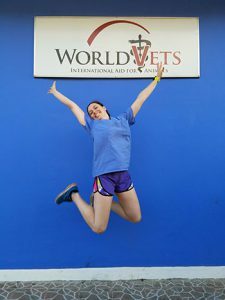 From December 27 to January 5, I was on a World Vets International Veterinary Medicine (IVM) trip in Granada, Nicaragua. I arrived at the airport in Managua, Nicaragua, late on December 27 and was greeted by one of the program veterinarians. Then I purchased a local SIM card and hopped on a provided shuttle that drove me the 45 minutes to Granada. Outside the Casa La Merced, locals were celebrating the Christmas festivities by parading and playing a variety of instruments. Most of the program students, including my assigned roommate for the 10-day program, arrived later that night. In my group there were nine veterinary students, two technicians, four pre-vet students, and two volunteer veterinarians who came from around the world, but mostly from the U.S. One vet student and one pre-vet student spoke fluent Spanish, which helped the rest of us out. I remembered only the basics from high school, so off-line downloaded Google Translate was a lifesaver! Dr. Steve Kruzeniski, who is from Canada, is one of the permanent staff members who run the World Vets operations in Granada. The local money is in Córdobas; non-tourist-based businesses preferred that for transactions, while all other places accepted credit or U.S. dollars. The first day was spent in orientation, followed by a horse carriage tour of Granada and a boat tour of the lake (which included feeding monkeys). 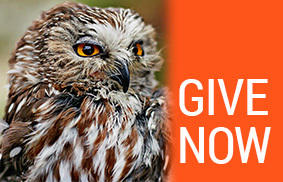 Most breakfasts and lunches were provided, but dinner was paid out-of-pocket, along with snacks and treats. There was always a vegetarian option, but primarily we ate rice and beans with fried plantains for lunch. Many of the locations provided filtered water, including the World Vets clinic, but I still brought a filtered water bottle (removed viruses and bacteria) so I didn’t have to take any chances. We had four clinic days, where we had about 30 dogs and cats, both male and female, gathered from the surrounding communities the prior afternoon. Since one vet student was not able to attend, we had three pairs and one group of three, which allowed the vet to step out and observe us while a vet student was the assist. In all the other pairs, one vet student acted as the anesthesiologist (all injectable; no isoflurane) and the other was the head surgeon, with a veterinarian acting as the assist and teaching the procedures. Most of the dogs had tick-borne diseases (especially ehrlichia) and bled a lot more than usual, and some of the females were pregnant, and others with a pyometra. The techs and pre-vet students performed physical exams, sedated, placed catheters, intubated, and scrubbed the patients for us; we helped with post-op recovery after our surgeries. By the end of the clinic days, I had performed six spays (three dogs and three cats) and five neuters (all dogs), along with a mass removal and scrotal ablation. We rotated which veterinarians we worked with each day, so we picked up little tips and tricks unique to each doctor. By the end of the second day, I was already feeling comfortable with the basics of the surgeries, but each spay seemed different in its own way. On the off days we had a variety of activities to choose from. Most of us elected to go to the volcanoes on the first day; a hike in the morning, a swim in a crater, and magma flow of a live volcano that night. We all split transportation of the shuttle to those locations, which was organized by Dr. Steve for us, making it very cheap to travel around Nicaragua. The second day off we traveled 2 hours to San Juan, Nicaragua, to go horseback riding on a beach near a resort called Ranchero Chilamate. In addition to the amazing three-hour ride (one hour on the beach, the rest on a trail to and from the beach), the organizers provided snacks, drinks, costumes, and a photoshoot. They dropped us off at the beach (Playa Hermosa) in San Juan where some surfed and the rest of us ate and watched the sun set. I could not have asked for a more perfect trip to learn about Nicaragua, international veterinary medicine and animal ownership, spays and neuters. This trip was worth every penny, and I wish I could go back for every IVM trip. 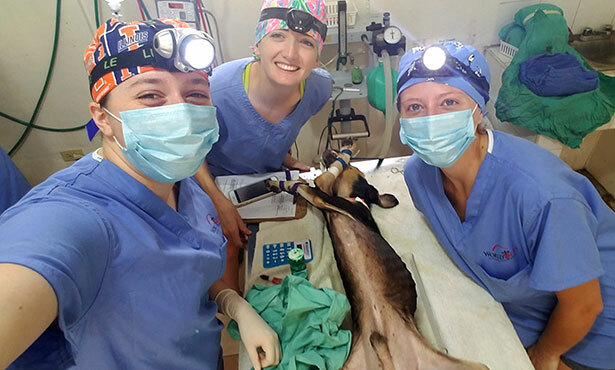 This trip is really focused on providing vet students surgery time, and for all of those looking to enhance their skills, or start out like I did, I would recommend signing up for an IVM trip with World Vets.